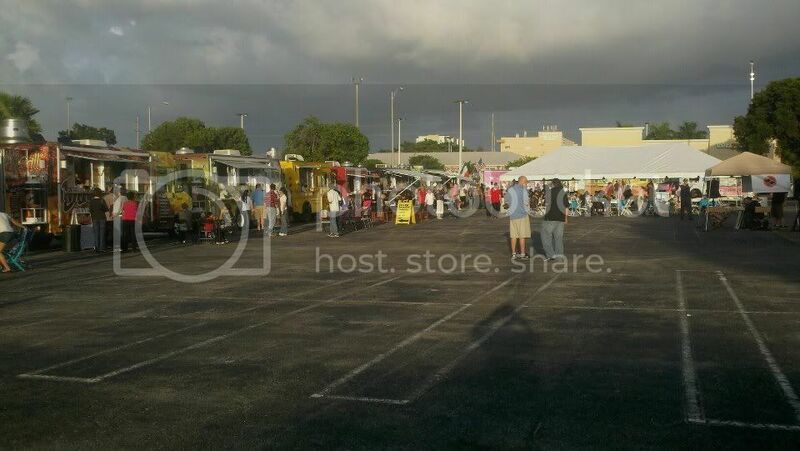 Orlando's Food Trucks: Come and experience Lake Ivanhoe Village’s MAYHEM Street Party on Virginia Drive. 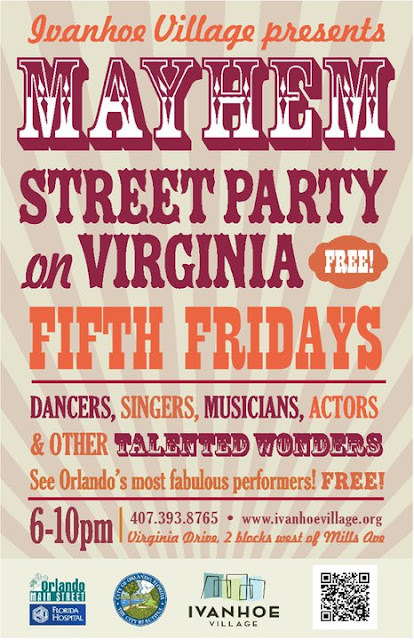 Come and experience Lake Ivanhoe Village’s MAYHEM Street Party on Virginia Drive. Be the first to catch a sneak peak of Orlando’s most talented performing artists and their upcoming shows. Be inspired, awed and amazed by a myriad of local performers: dancers, singers, musicians, actors, and other talented wonders. Enjoy the carnival atmosphere while exploring Virginia Drive’s array of shopping and dining. It’s a ballet, a play, a concert, a party, and it’s all on Virginia! Food, activities and amusement for all ages. Admission is FREE. Sponsored by Ivanhoe Village Main Street.